I mentioned in this post that I was making an effort to be more aware of what I was putting on and in my body. This has proven to be a challenge, but the more aware I am of what I'm consuming and the more I talk with others about it, it seems that I'm not alone in this journey. 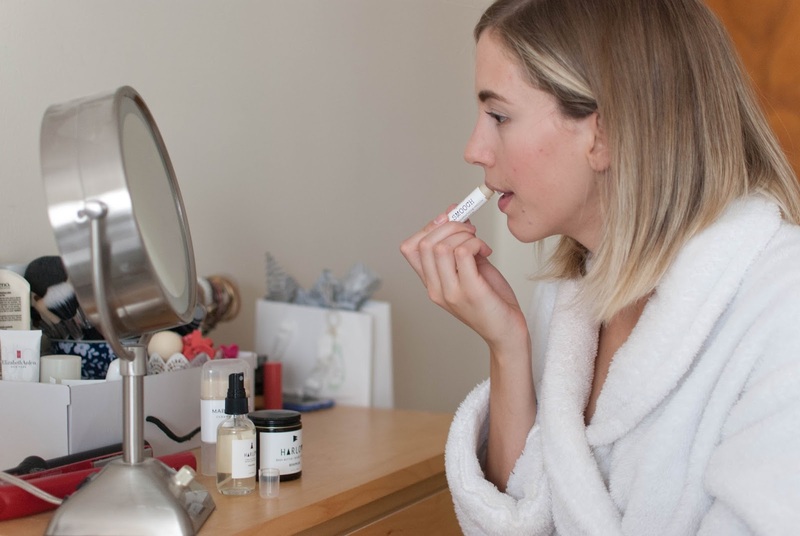 When Amanda of INDIE Apothecary approached me a few weeks ago and asked if I would be their brand ambassador, I hardly had to think about my answer. Yes, yes, a million times YES! 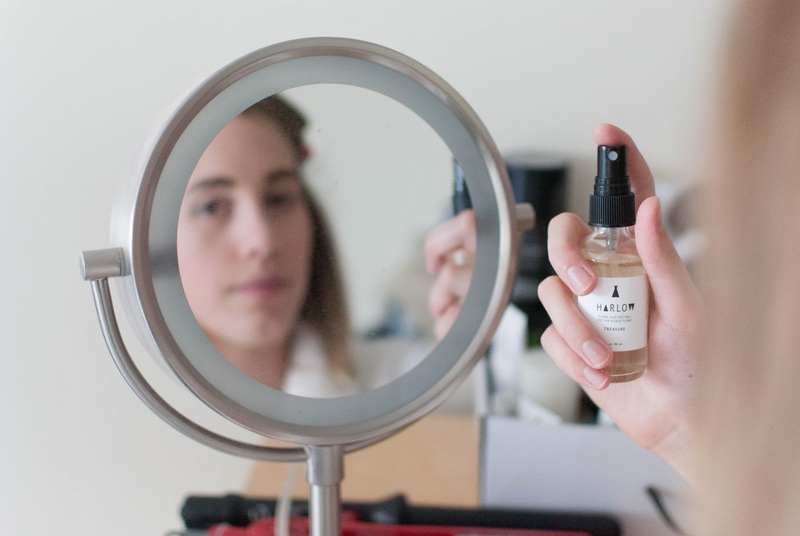 Amanda has put her heart and soul into curating the perfect shop of luxe small-batch skincare. All of the products she carries are ethically produced and use natural ingredients and are all made in Canada! Everything INDIE stands for is so important to me. I am making a solid effort to become a conscious consumer with all of my purchases. In the case of my skin, whatever you are putting on it will be absorbed, so it is time to make a change. INDIE's mission is to offer luxe botanical experiences that support your health inside and out. I had some reservations when I received my first package. It was full of beautifully branded products, but it had some questionable products that I wasn't sure I'd ever try...like all natural deodorant! This was probably the scariest product to start using. I've known for a long time that the big brand deodorants I was using weren't good for my body, but they served their purpose so why would I risk smelling when I could just keep using what I knew would work. Well, let me be the first to tell you–I've been converted. I've been using the all-natural Mabrook & Co. vanilla and clean mint deodorant for just over a week and I can confirm that I still have a boyfriend, so I can't smell that bad. I even go to hot yoga a few times a week and a lot of sweating happens there, and still no complaining! Trust me when I say that I am so glad I made the switch. I was really lucky to find something I like (and works!) on the first try and I recognize that not everyone may be that lucky. Try a few and see what works best for you, but if there is one thing I recommend changing in your beauty routine sooner rather than later, it's your deodorant. INDIE is hosting an October beauty challenge and challenging you to make the switch. It takes time for your body to detox, so why not give it a go alongside the INDIE tribe and see if it works for you! As much as I hate to admit it, I still have problem skin in my late 20's. I've got spots that routinely breakout, an uneven skintone, dry patches and oily patches. I'm painting quite the picture for you, aren't I! I'm always looking for something that will work. There's probably a mind-over-matter component to it as well because I know that I will never have perfectly even, acne-free skin, but I can use products that will feed my skin what it needs to be healthy and the best skin it can be. 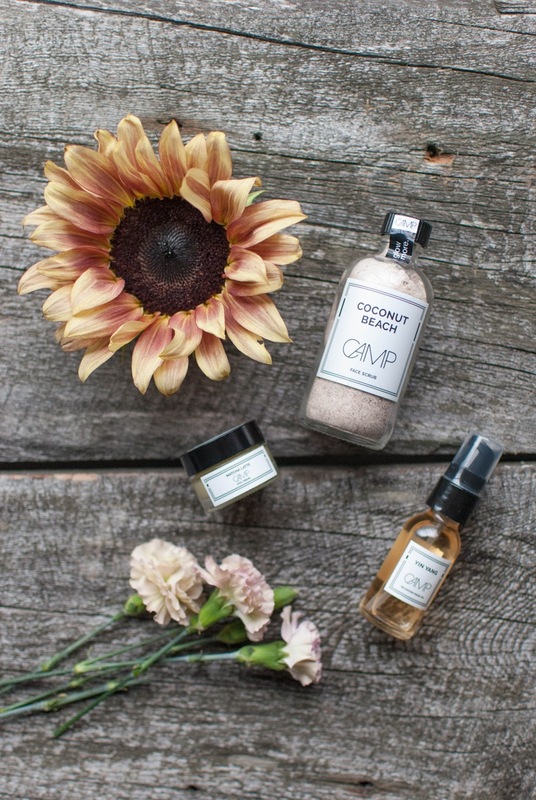 CAMP is a small-batch luxury skincare line from Toronto. Their products use high-performance 100% natural, plant-based ingredients. One thing I did notice is that all-natural products feel different and that's a learning curve. They don't always provide the same sudsy lather or texture, and sometimes it feels like it didn't even do anything. I had these feelings about the Coconut Beach exfoliant when I first gave it a go, but my skin thanked me the next day! This gentle exfoliant can be mixed with warm water or your favourite cleanser to brush away dry, dull skin, or you can mix to make it a mask depending on your skin-type. There is a great list of suggestions on ways to use it here! 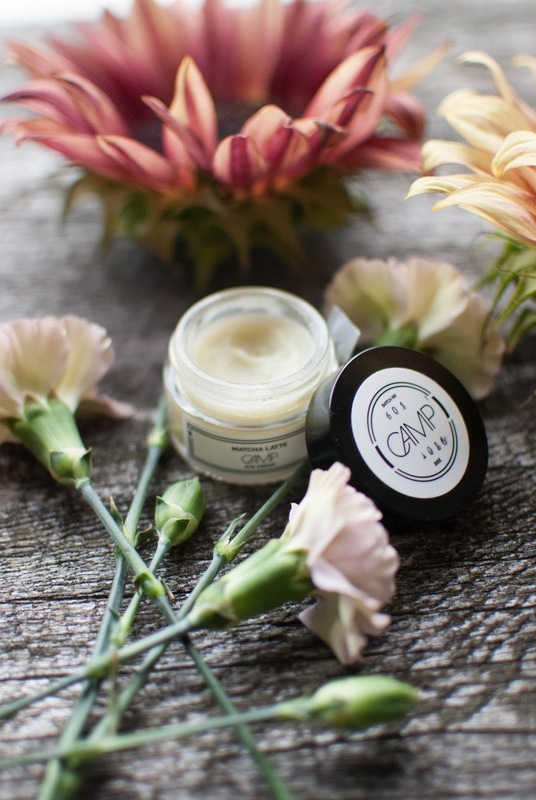 The CAMP Matcha Latte eye cream is one of my favourite products. It's smooth like butter and a little bit goes a really long way. I've definitely got bags under my eyes so I appreciate a product that will de-puff and revitalize the sensitive skin under my eyes. The matcha green tea and green coffee bean oil boosts circulation and brightens for an instant refresh! This little pot will last a long time and I will definitely be recommending it time and time again. I think my favourite brand this month was Harlow Skin Co. Their ingredients are ethically sourced, free of preservatives and additives, and are meant to feed your skin. The bohemian body butter is incredible. It was the star of the show at the INDIE Apothecary launch party at Vincent on Friday night and once you smell it you'll understand why! It masks your skin in vanilla and grapefruit and leaves it feeling unbelievably smooth. Don't be fooled by it's consistency though. The first time I tried it out I wasn't convinced I had enough, so I put on more. By the time I got to work I looked like I had rolled around in a vat of oil, but my skin was silky smooth for the rest of the week! A little bit truly goes a loooong way with this! I can't be the only one looking for ways to hydrate my skin as the cooler weather approaches and body butters are a great way to do it. Can you think of anything better than having a hot shower, moisturizing with a rich body butter and wrapping yourself in a big fuzzy robe? Hmmm, I know what I'm doing after writing this! The skin on my legs isn't the only thing seeking a bit of TLC these days. Always hesitant to add anything 'extra' to my face, I reluctantly tried Harlow's flora face potion. Hooooly. This blend of floral essences is so soothing. I tried it as a primer before applying my make-up, but my favourite way to use it is after I've done my make-up and want to set it for the day. A few light mists and ta-da! If I've learned anything this month it's don't be scared to try something new. Maybe it'll be the saving grace you've been waiting for! I feel extremely lucky to be able to make the switch to all-natural skincare and beauty while supporting talented Canadian entrepreneurs. It's not easy to drop everything you know works for your body to try something new, but in the end your body will thank you. My skin feels healthy and my body overall feels great. What I'm putting on my skin is only a portion of making the change. I'll be sharing more along the way as I try to be the best version of myself. 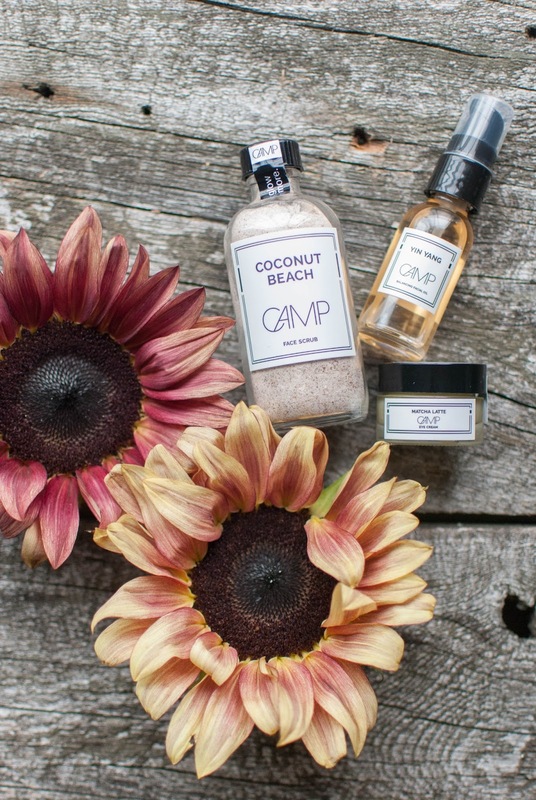 Are you trying to switch any of your beauty products to all-natural? Have you successfully made the transition or is there something holding you back? I'd love to hear your experience with making the change and how you are working to become the best version of you!